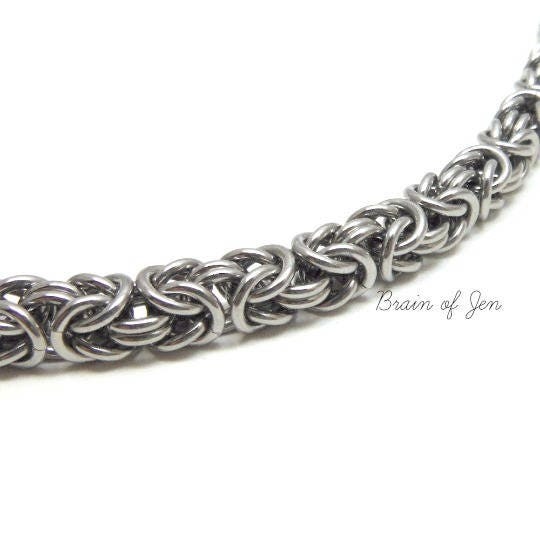 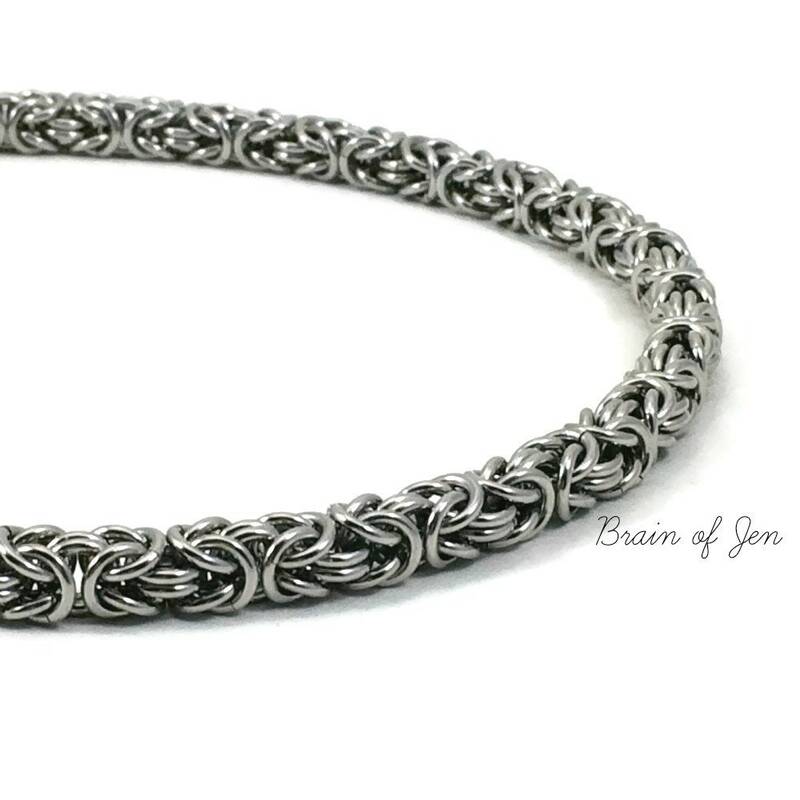 The chain is woven one ring at a time in the intricate Byzantine chainmaille pattern, using high quality stainless steel rings that have been tumbled and polished for a gorgeous shine. 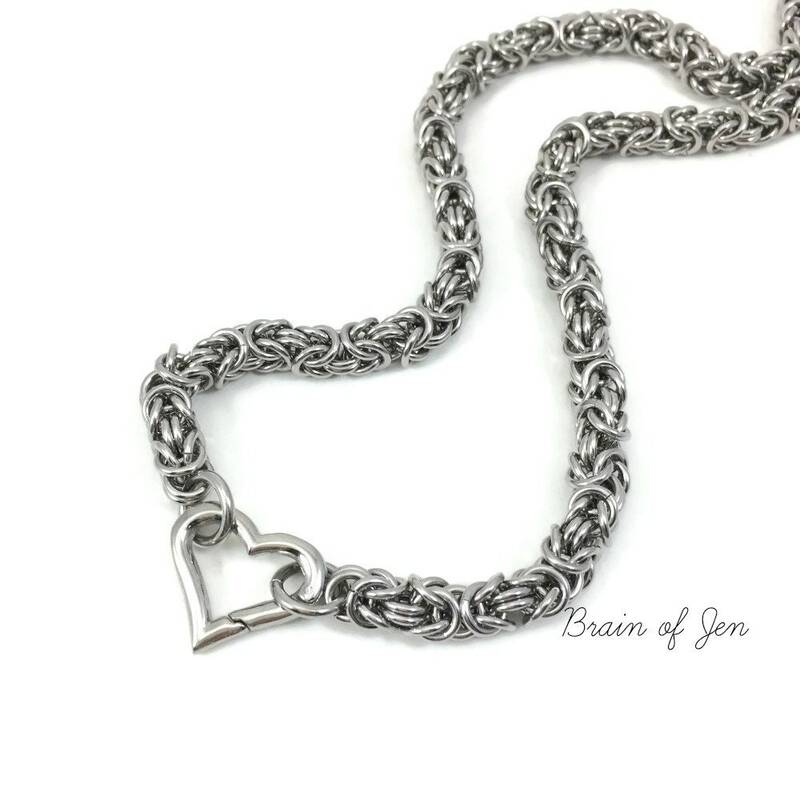 Both the chain and clasp are easy to care for with just a little soap and water, making it an ideal collar for 24/7 wear. 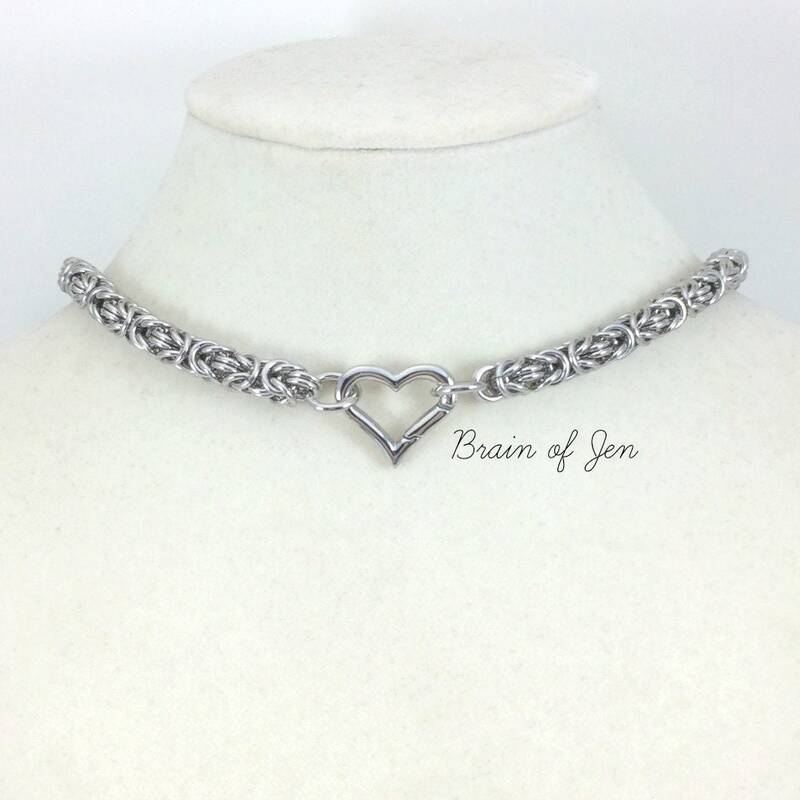 The collar closes with a small heart shaped stainless steel hinged clasp measuring 20 mm wide x 14 mm high. 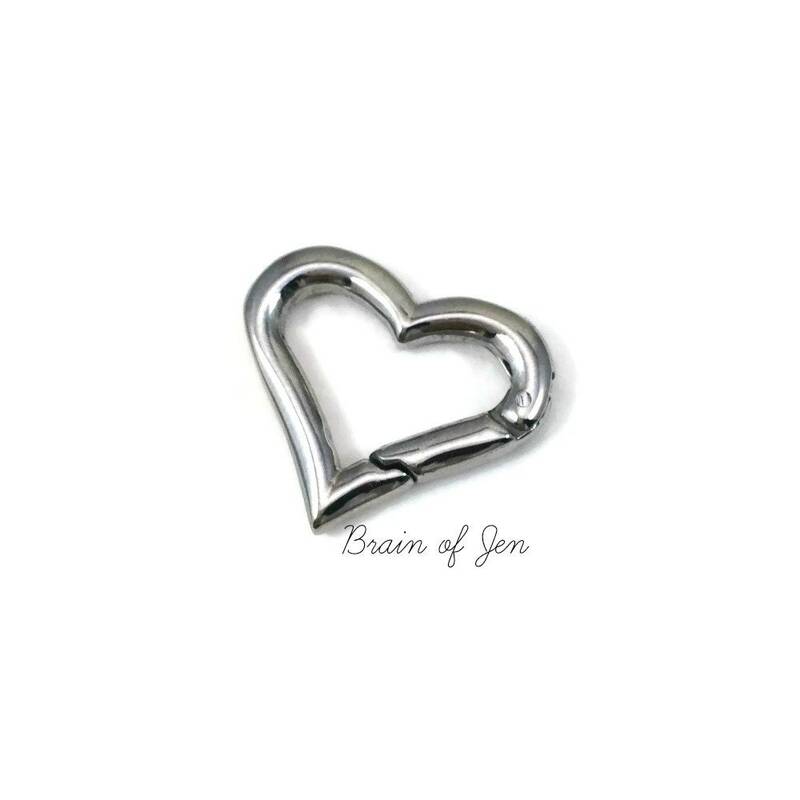 Perfect for attaching a leash!